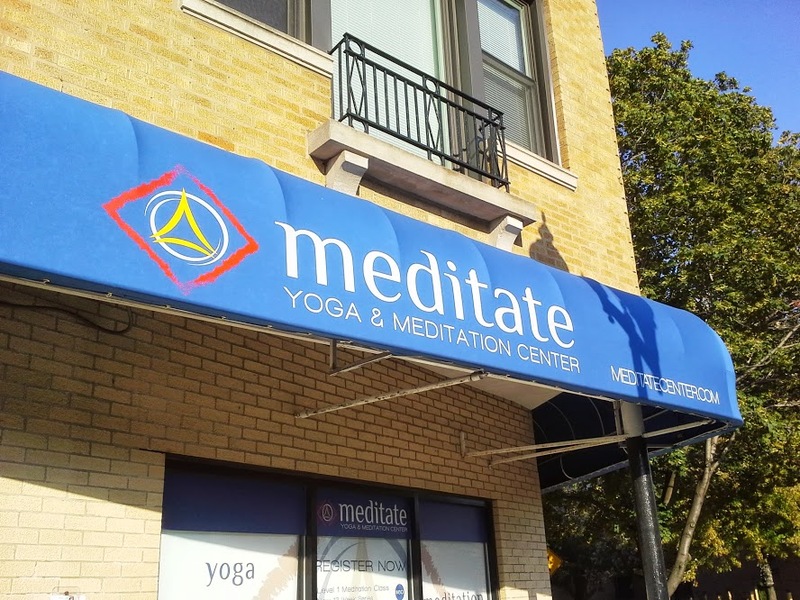 Meditate Yoga & Meditation Center opened its doors for business today at 4237 N. Lincoln Avenue in Chicago’s North Center/Lakeview neighborhood. Following basic remodel work on the former office of the 47th Ward Alderman Gene Schulter, the yoga and meditation center opened, offering reduced price on classes as a neighborhood incentive for new clients. All classes for the month of July are $5. Meditate will begin with late afternoon and evening classes, initially on weekdays only. Shykofsky explained that they want to interact with the local community and find out what they are most interested in. Yoga classes are geared toward beginners, advanced beginners and intermediate practitioners of yoga. Advanced classes and yoga teacher training are things that will likely be added later, once the personality of the Center is more established. “As far as meditation classes, my primary aim is to clarify a lot of the misconceptions about meditation so people who have always been curious about developing a meditation practice will be able to stick with it and get the benefits,” Shykofsky said. “For example, a lot of teaching states you should sit cross legged on the floor in what’s known as ‘Lotus Position’ to find inner peace. In reality, most people find this posture to create discomfort after about 15 minutes. We teach meditation sitting in straight back comfortable chairs. In my experience, most people go deeper within when seated in a chair rather than cross legged. People can still sit cross legged if they desire but it’s not a requirement by any means.